OptioPay is an online payment platform which increases payments by offering higher-value gift cards. OptioPay is a payment processor with a difference. Our mission is to integrate payments to employees or customers with effective marketing to create a completely new, performance based, advertising channel. For recipients we offer flexibility and value by offering diverse payout options. 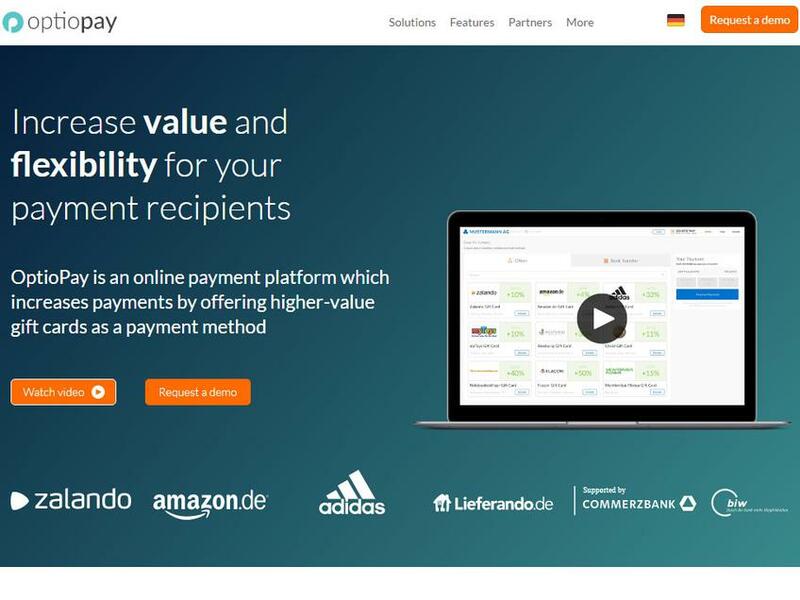 Our company, backed by international venture capitalists and banks, is based in Berlin with a talented team of 50 hailing from no less than 20 nations.